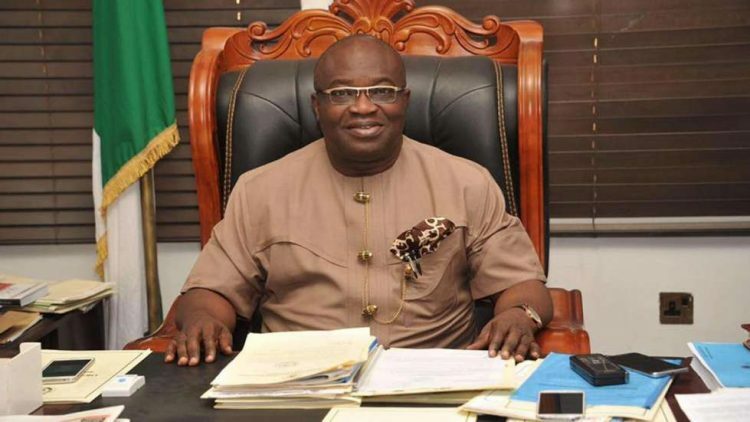 Abia State governor and the People’s Democratic Party (PDP) candidate for the 2019 governorship election, Dr Victor, Okezie Ikpeazu, has been announced the winner of the 2019 governorship election in the state. Making the declaration around 6.00pm this evening, the state Returning Officer, Prof. Francis Ozumba, the Vice Chancellor of University of Nigeria Nsukka, said Ikpezu pulled a total of 261,127 votes to beat his closest opponent, Dr Uchechukwu Sampson Ogah of All Progressives Congress, who garnered a total votes of 99,574 votes. The All Progressive Grand Alliance (APGA), candidate, Dr Alex Otti, came third with a total of 64,366 votes. But at a press conference, Chief Kenneth C. Ugabja, the Director-General, Uche Ogah Campaign Organization, rejected the results being announced by INEC. He alleged that the results were doctored and his party would not accept it. Also, the state Chairman of APGA, Rev. Augustine Ehiemere, distanced his party from the results and called for its total cancellation. He said that his party had submitted its petition to INEC calling for total cancellation of the election based on irregularities and other wrong doings. Meanwhile, tension is building up around the premises of INEC as security operatives are being arriving at the INEC headquarters in the state in Hilux and other vehicles to guard the facility. There is also mixed reactions in the state capital as some people were seen rejoicing while others were protesting.